Just in time for the long weekend! We’ve been working behind the scenes on our digital collections and are pleased to announce that one of the first digital collections created at the Libraries has been revamped as a Subject Guide. The History of Medicine at Dalhousie digital collection was created in the early 2000s to provide a compilation of links, images, and other resources for the study of the history of medicine at Dalhousie (it goes back to 1868!). The website has been a valuable tool for historians and medical humanities researchers, so we’re thrilled that it has been restored and expanded as the History of Medicine at Dalhousie Subject Guide. The guide can be found on the Libraries’ Subject Guides page (under Health Professions and Medicine). We hope the guide continues to remain a useful resource for historian and researchers in the medical humanities! An Index to the Maritime Medical News, 1888-1910 is now complete and available on the Dalhousie Libraries website. The content in the Maritime Medical News is a key resource for those interested in or doing research in the history of medicine or health generally in the Maritime Provinces. This index complements the Index to the Nova Scotia Medical Bulletin completed earlier, also found on the Libraries website, so that the medical historian now has a very detailed index to the rich content found in these two publications covering more than a century, from 1888-1993. The content of the full text of the Maritime Medical News is freely available on the web at the Canadiana.org website. A project is currently underway to digitize the content of the Nova Scotia Medical Bulletin. 2010 is the Centenary year of Dr. Chester Bryant Stewart, who was Dean of Dalhousie’s Faculty of Medicine from 1954 until 1971. Through his leadership the Dalhousie Medical School was transformed into a leader in medical education and research in Canada. The Sir Charles Tupper Medical Building was the brainchild of Dean Stewart, whose search for funds led to the Tupper being designated Nova Scotia’s Centennial project in 1967. 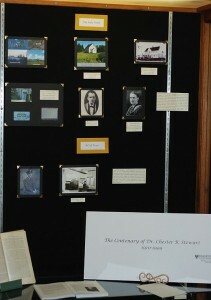 To mark Dr. Stewart’s centenary a display of relevant artifacts has been mounted in the windows of the Kellogg Library and the display windows of the adjoining Dalhousie Medical Alumni Association, both just off the Memorial Room of the Tupper Building.The artifacts include the sketch of Stewart by Sir Fredrick Banting with whom Stewart completed the first survey of medical research in Canada; items related to his pioneering research work to protect air crew while RCAF Wing Commander during WWII; his work with Federal and Nova Scotia Governments on health insurance; with the Association of Faculties of Medicine of Canada in creating the Health Resources Fund, and with the Faculty of Medicine. Read Dr. Ross Langley’s piece on Stewart’s contributions to medical education at Dal. Several new history of medicine digital works have been added to our website. These are older works from the Kellogg Library’s collection that have been digitized in the interest of long term preservation and to make them more widely available to researchers and those interested in the history of medicine in Canada. This is a report of the Carnegie Foundation for the Advancement of Teaching published in 1922. The report examines all levels of education in the Maritime Provinces: elementary, secondary and higher education. Historic Notes and Canadian Medical Lore. 1906. 198,  p. Illus. Lecture memoranda. British Medical Association meeting, Toronto, 1906 and published by Burroughs Wellcome	& Co., London, Eng. Covers a broad spectrum of topics in Canadian history in general, and medical history in particular. Medical Guide for Flying Personnel. 1940. 102 p.
This guide was written by Heinz von Diringshofen. It was originally written in German in 1939 under the title Oberstatsartz der Luftwaffe and translated into English by Major Velyien E. Henderson, a professor of Pharmacology, University of Toronto. The guide was published by the University of Toronto Press in 1940. The information was written for both fliers and physicians of the air force. 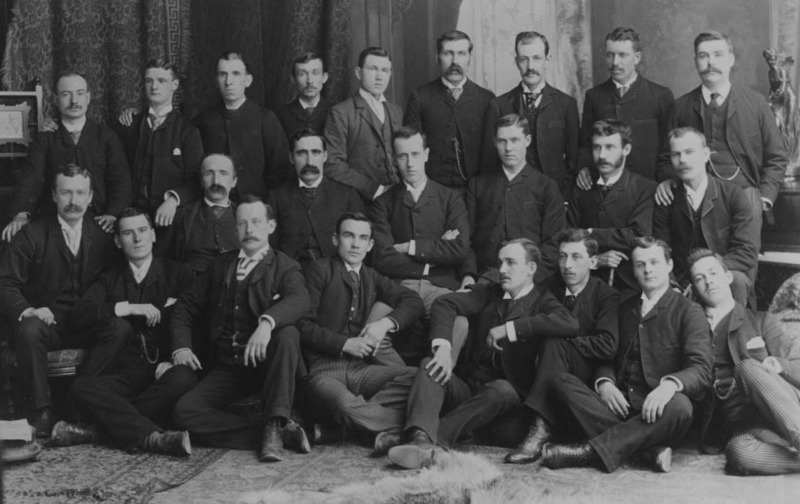 Second Conference on the Medical Services in Canada arranged by the Canadian Medical Association and held under the patronage of the Honourable James H. King. M.D., M.P., Minister of Health for Canada in the House of Commons Ottawa on March 28th, 29th and 30th, 1927. 87 p.
Here are presented the Annual Reports for the Nova Scotia Provincial Board of Health for the years 1894, 1896-1899, and 1902-1903. Report on a Sanitary Survey of the Province of New Brunswick. 1917. 96 p.
Written by John Hall for the Government of New Brunswick. Printed in Fredericton, NB November 1917. “The object of this investigation was to secure, from various sources, data which might indicate the present status of the Public Health in New Brunswick and which might serve as a basis for a plan for improving existing conditions…” – Introduction. Report on a Survey of Medical Education in Canada and the United States. 1946. 55 p.
This report was prepared by C. E. Doman on instructions from the Board of Governors of the University of British Columbia, and submitted for their consideration on May 3, 1946. For his survey, Dolman visited 11 medical schools in Canada, and 22 of the leading medical schools in the United States. Report on the Survey of Hospitals in Nova Scotia under the Federal Health Survey Grant 1949. 160 p.
This report was prepared by C. B. Stewart and presented to the Hon. 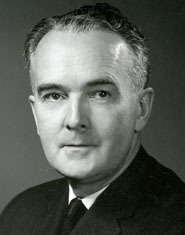 Harold Connolly, Minister of Public Health, Nova Scotia in September 1950. Covers a part of the survey of health and hospital facilities, which was authorized under the Federal Health Survey Grant. View all our history of medicine digital collections. A detailed index for the complete content of all years of the Nova Scotia Medical Bulletin, v.1(1922)-v.66(1987) and the Nova Scotia Medical Journal, v.67(1988)-v.72(1993) has been added to the Kellogg Library website. This journal is a rich treasure trove of material concerning the history of medicine in Nova Scotia and the Maritime Provinces. Now the index provides the interested researcher with access to names, titles and subjects held within these volumes. The Bulletin itself can be found in the bound journal stacks on the second floor of the Kellogg Library under its title.